Adelaide has been lucky enough to host the 68th annual International Astronautical Congress, the world’s premier space policy and technology event. It was an ideal setting for the Turnbull government to announce an early finding from its review of Australia’s space industry, which will deliver its final conclusions in March 2018. Education Minister Simon Birmingham’s announcement at the opening ceremony that Australia will stand up a national space agency was met with a huge round of applause. It’s important to see that commitment as a very positive step forward for a country that’s done very little in the way of flying satellites and launching rockets since the 1960s. Australia has contributed in other areas, most notably in supporting international space science, providing essential ground facilities, and contributing skilled academic and technical expertise. Efforts to convince successive governments of the value of doing more have consistently fallen back to Earth. Maybe this time things will be different? But, before we get too starry-eyed, we need to take a hard, pragmatic look at the challenges. The success of an Australian space agency (my preference for a name: ‘ANSA’—Australian National Space Agency) will depend on exactly what its role is, how much funding it gets, and whether the agency fully embraces ‘Space 2.0’ approaches or falls back on an outdated approach more favoured in large taxpayer-funded space programs like NASA in the US. The new Australian space agency must recognise that the old approach of a government-run and taxpayer-funded ‘end to end’ space program, in which the agency does it all—from building rockets and satellites to launching astronauts—is competing with, and losing to, a much more innovative and dynamic approach led by the private sector (Space 2.0). The private sector is dominating the global commercial space sector, which was worth US$329 billion in 2016. 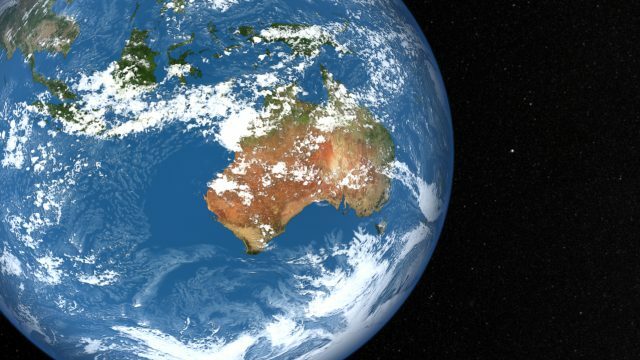 The primary role of the new space agency should be to create a vibrant Australian sovereign space industry that can engage with and compete in that international market, rather than be stuck on the sidelines as a passive observer. That means that our new space agency should play a supporting role, assisting the private sector in space, and helping Australian space ‘start-ups’ to take the lead. It should coordinate rather than control. It should act as an access portal for the Australian space industry to engage with overseas partners. Let our commercial actors take the lead and innovate—don’t smother them with government red tape and over-regulation. 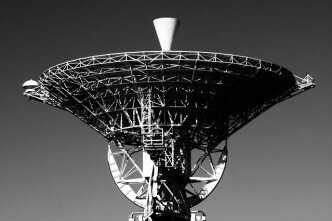 A first task for the space agency must be to quickly update national space policy from the woefully inadequate 2013 Satellite Utilisation Policy that still forms the basis of Australian space policy today. The new policy should recognise that continued dependency on outside providers for Australian space capability generates the unacceptable risk of Australia losing access to space in a crisis, and stifles Australian space industry development. A key shift required in the new space policy is that it must strongly promote the development of a sustainable and expanding sovereign space industry capability. If that’s to be successful, a space agency must promote a cost-effective approach to building the space industry, and that’s where Space 2.0 will come to the fore. 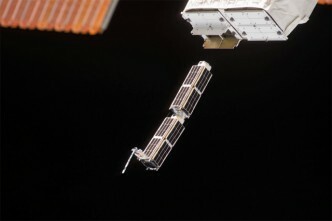 The heart of Space 2.0 is low-cost space technology, such as CubeSats. Through innovative uses of new technologies and 3-D printing, the cost of a single satellite can be reduced to a few million dollars. 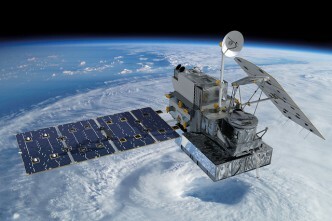 Traditional satellites cost hundreds of millions to several billions of dollars each. We shouldn’t not make the mistake of investing in large space systems—other countries have that covered anyway—but instead recognise the advantages of ‘small, many and cheap’. 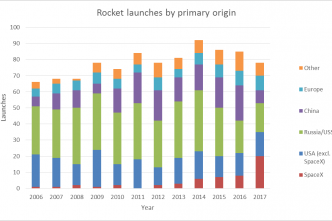 Likewise, we should recognise the potential offered by reusable rocket technology and, in the not-too-distant future, hypersonic space planes, to further reduce the cost of accessing and exploiting space. 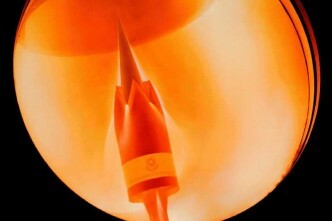 Australia is geographically well positioned to provide a southern hemisphere launch capability, and is active in hypersonic research and development programs. So an Australian space agency could capitalise on those advantages. A decision by government to invest in a sovereign space industry, including a locally developed space segment (satellites and launch capability), would be a big step for Australia. We must be clear-headed in setting strategic objectives, including ensuring Australia becomes competitive in the global space sector, which is rapidly growing at an annual rate of 10.7%. A sovereign space capability also has an important defence and national security dimension. Australia could build and fly its own satellites to support the ADF in what is known as ‘operationally responsive space’ roles, including providing ubiquitous communications to a deployed joint task force, or conducting wide area maritime surveillance. An Australian defence space capability, based around networked CubeSats launched from Australia, could not only support ADF requirements in a manner that reinforces defence self-reliance, but also contribute towards burden-sharing with the US and other regional allies. Any space agency must therefore work with the Defence Department to ensure that defence and national security requirements and tasks are supported from the high frontier. Malcolm Davis is a senior analyst at ASPI. Image courtesy of Flickr user NASA Goddard Space Flight Center.